Workshops are based on 1.5hr delivery. 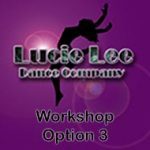 Workshops are suitable to support course works such as GCSE Dance, A2/A2 Dance, BTEC dance units, Arts Awards and University Level 4, 5 & 6 supporting technique and choreography modules. Business Plan – start up and development, SWOT analyses. A level performing arts students, 2016 at Oakbank school, Keighley. “The different types of companies stood out to me due to its importance. Skill I learnt on my understanding of starting up a business efficiently and how to apply for funding”.